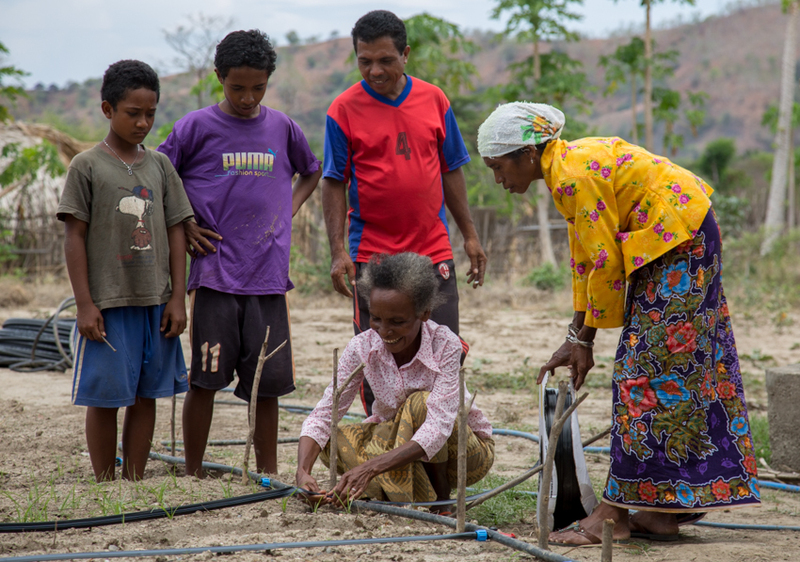 (Tetum) November 25 saw MAF-SoL staff provide drip irrigation training to Moris Foun Community Seed Production Group, a women’s Community Seed Production Group (CSPG) in Tibar, Liquica District. The new drip irrigation system will assist the group to cultivate the three highly productive varieties of sweet potato (Hohrae 1, 2 and 3) officially released by MAF that are 65-130% higher yielding than local varieties. Hohrae 3 is also a notable source of Vitamin A. Sweet potato cuttings have been planted this week to coincide with the beginning of the rainy season. The new drip irrigation system will assist the group to cultivate the three highly productive varieties of sweet potato (Hohrae 1, 2 and 3) officially released by MAF that are 65-130% higher yielding than local varieties. 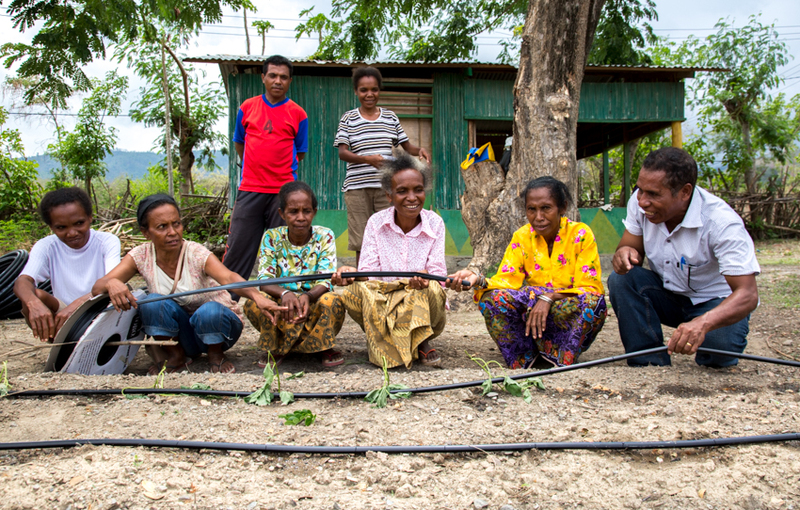 For many of Timor-Leste’s farmers, drip irrigation has the potential to provide an effective and, importantly, low cost method of watering crops. The new system will be especially beneficial during the dry season from May – November. The first benefit of drip irrigation is the consistently equal distribution of water to each plant, aiding the growth of a vibrant and uniform crop. The second benefit is the labour and valuable time saved. The women in Tibar typically spend two to three hours a day watering their crops, and the time saved can now be put to good use. 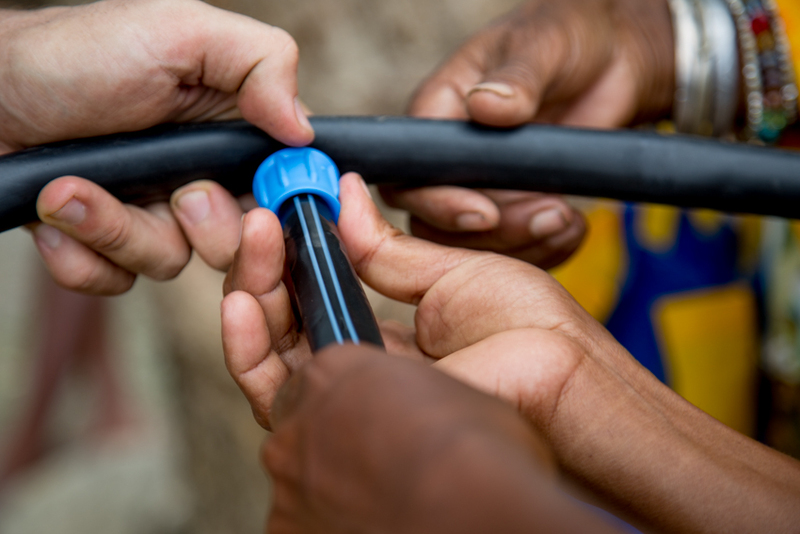 During the hands-on training, group members learned how to install, use and maintain the drip irrigation. Group members each had the opportunity to assemble and install the drip lines provided by MAF-SoL on a total of 5 beds. With their new-found skills, the group has since installed a further 7 beds with drip irrigation themselves.